These are hot midweek specials that won’t last until the next Friday Fix. Maybe one or two a week and not every week – but any one could save you serious money. Here are 3 wines from the latest Spot Special. 1. Richland Pinot Grigio 2013 – $10 at OurCellar. 3 gold medals, 92 points from Campbell Mattinson, better than many PGs at much higher prices, ludicrous value. 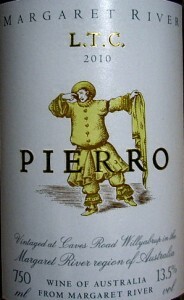 Made by the Calabria family in the Riverina. 2. Westend Richland Cabernet Sauvignon 2012 – $10 at OurCellar. 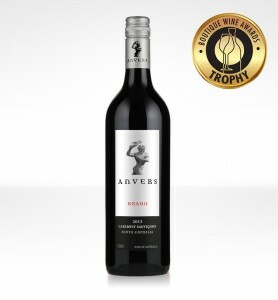 Polished drinking red for a pittance. Your friends will think you’re a genius when you tell them the price. 93 points from Mattinson, 91 from us. What a bargain. 3. ANVERS BRABO CABERNET 2013 -$10 at Pulpit Cellars. Cracker Cab from boutique in the Adelaide Hills. Gets 95 points from Huon Hooke. 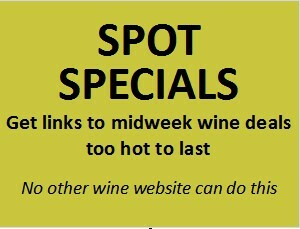 Like to get Spot Specials every week? 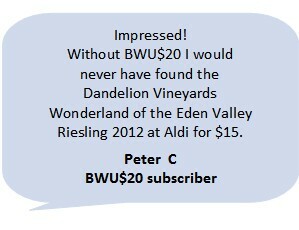 Sixty Darling Street Fine Wines, 02 9818 3077 sales@wineroom.com.au is running a bunch of Easter Bunny Specials. We’ve listed a few examples below – they don’t have a real website, so you need to call them or email them to get hold of the full list.